Don't know why and how but my last post misteriously disapeared from here. I made two re-posts and as far as it looks I must do it again. 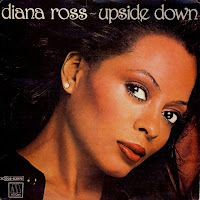 Before I retry here's Diana Ross. Oh yes, her probably biggest hit without proper extended version. 12'' offers only something above 4 minutes...single ? don't wanna talk about it. For this crossover I used little bit different aproach. Since I couldn't find instrumental version and original with sound quality close enouh to combine, after few attempts I decided to do it from instrumental and acapella versions. I made extended instrumental at first and than I added vocal from acapella. A lot of cutting and adjusting to create this 7:01 min long crossover.